Berdyansk (Ukrainian: , translit. 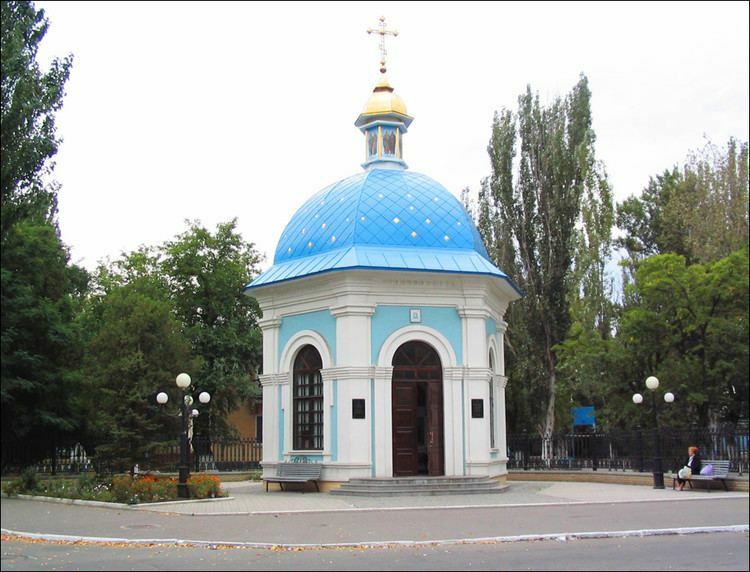 Berdyansk, Russian: , Berdyansk) is a port city in the Zaporizhia Oblast (province) of south-east Ukraine. Administratively, it is incorporated as a city of oblast significance and serves as an administrative center of Berdyansk Raion, though it does not belong to the raion. Berdyansk is located on the northern coast of the Sea of Azov. Population: 116,034? (2013 est.). Berdyansk is known in Ukraine due to its sea port and industries. It is also home to a health resort with mud baths and climatic treatments. Berdyansk city was created by Earl Vorontsov who after being appointed governor general again sent an expedition to the Azov Sea. Its task was to find a place to build a new seaport. In the autumn of 1824 Captain Kritsky, the expedition supervisor, reported on several prospective sites; the best being a place closed off from the sea by the Berdyansk Spit. In an official report to Vorontsov, Kritsky wrote: "the quality of Berdyansk Spit surpasses that of Obitochnaya Spit; you can build a landing stage and port on it unless you concede to Sevastopol..." On 3 November 1827 a certificate of land dissociation for a mooring and a city was issued. From that day Berdyansk began to grow. In the same year a landing stage was built on a gulf bank. A small settlement was established which over time turned into the city of Berdyansk. Its original name was Kutur-Ogly. The neighbouring settlement from these foundations was known by the name Berdy. The city name changed to Novo-Nogaisk in 1830 (meant "New Nogaisk") (see Nogai). The present name was given to the city in 1841 by special decree of Nicholas I. The name "Berdyansk" is derived from the Berda river name that flows into the sea not far from the city. Between 1939 and 1958 the city was known as Osipenko, so named after Hero of the Soviet Union Polina Osipenko. This name has now been given to the nearby village Osipenko where Polina Osipenko was born. The mooring opening ceremony took place on July, 1st, 1830. The new port authority quickly grew and Berdyansk was granted city status in 1835. In 1838 its population comprised 3200 inhabitants and in 1842 Berdyansk became the district centre. Then, on 31 January 1845, the first Berdyansk coat of arms for the Berdyansk district was created. In the top strip, on a green field is a silver Nogays nomadic tent together with a black plough; this denotes the semi-nomadic life lived in the Nogays and farming work done by local residents. In the bottom part, on a blue field sits a black anchor to symbolise the districts affinity with the sea. By this time the customs outpost was already opened. Some foreign marine grain purchasing representatives (negotiators) moved their offices to Berdyansk from Mariupol and Odessa. In 1838 the Nizhneberdyansky beacon was built. It is a 23-metre octahedral whitestone tower with an orange stripe in the middle. The beacon fires protected sailing ships and was first seen in 1840. Almost half a century later, in 1883, the oil lamps were replaced by electric lights. The old beacon was refurbished and upgraded with newer equipment. It remains on watch, lighting the way for ships along the nearby coast. The city developed and grew. In the centre, private residences for the nobility, merchants, priests and office accommodation were built. Suburbs arose in outskirts of Berdyansk: Sailors, German, Soldiers (better known as Liski), the Dog gully, Gavrilovka, Near and Far Makorty. In April 1862 Tsar Alexander II with assistance from the mayor N. Kobozev confirmed the city district plan for Berdyansk. In the plan the streets were straight and lead to the sea. This layout has remained to the present day in the central part of the city. It was forbidden to build houses above the second floor. Fine buildings decorate Berdyansk: Winter theatre, town council building, hotel "Bristol", boys classical gymnasium, Voznesensky cathedral and the Lutheran church. The seaport quickly developed. In 1869 all breakwater building came to the end. Its stone construction is 640 metres long with two port fires at each end. There are passage maps in the harbour, located 859 metres from coast to serve port users. In the evening after the sun has gone down, the breakwater looks admirable from the Seaside square or from the quay in Gorky street. Rumours about another new coastal city seaport spread far beyond the district. 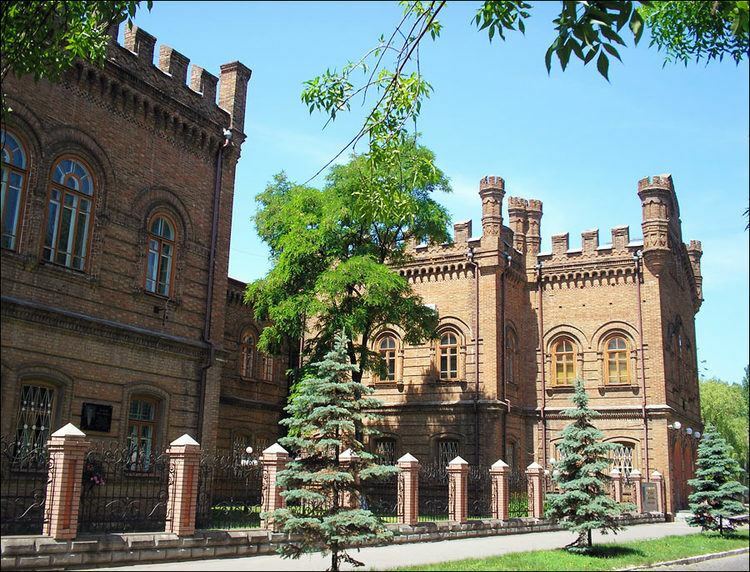 One behind another in Berdyansk, trading consulates of Greece, England, Italy, Spain, Austro-Hungary, France, Denmark and other states were built. The increasing importance of the port was mentioned in 1867 in a memorable book on the Taurian province: "Already there is no doubt, that for all the Azov coast the Berdyansk port will be the Odessa of the Black Sea coast". In 1876 as part of the defence of Sevastopol, rear admiral P. P. Schmidt was appointed town governor and port chief. Being a progressive man, he did much to promote the development of both port and city. Everyone who wielded power has left their mark on the history of this city: N. S. Kobozev, I. F. Matias, I. F. Gemmerle, V. I. Sahanev, K. P. Konstantinov, K. S. Argiropulo, I. D. Demetriadis, V. E. Gaevsky, V. I. Apopov and other people of that era promoted city growth and its prosperity. Soon there were small industrial enterprises and banks opening in the city. D. Grievzas factory manufacturing harvesters became well known across Europe. A farming machines factory was opened by Schroder and Matias. There was the cordage factory of Venz and Yanzen, Selstrems candle-wax works Sels, Litsmen sausage factory, Fetters brewery, Klavdin macaroni factory, Edigers printing house. The Italians constructed the city power station. Berdyansk turned into an industrial port and merchant trading city. By this time, two daily newspapers, three libraries and four bookshops were established. The city had running water and electric light illumination. In 1899 Berdyansk was linked up to the railway. At the beginning of the 20th century the city population numbered 26,500. There were about ten orthodox temples, two Jewish and one Karaite synagogue, boys and girls grammar schools, nautical classes, a city college and some credit institutions. In addition to an extensive export trade in mainly grain and flour, Berdyansk conducted large amounts of inland trade. It became a substantial distributive market for goods received over a wide area. By the beginnings of the 20th century, Berdyansk had become a merchant trading port with well developed industry, strongly influenced by its infrastructure. In Berdyansk there were newspapers, bookshops and libraries, running water, the city had been electrified and its railway was complete. In 2014, amidst the 2014 insurgency in Donbass, two Rocket-propelled grenades were fired at the local Security Service of Ukraine building. Note: Historical population record is taken out of Encyclopedia of Ukraine (English). Today it is possible to assert that Berdyansk, Berdyansk region and Berdyansk spit are one of most ecologically pure regions in Ukraine. The status of the city has changed as Berdyansk switched from an "Industrial centre" to a "tourist centre". Today Berdyansk is the main resort city on the Azov coast. Its population numbers about 130 thousand persons, and during the resort season this figure rises to about 600 thousand people. 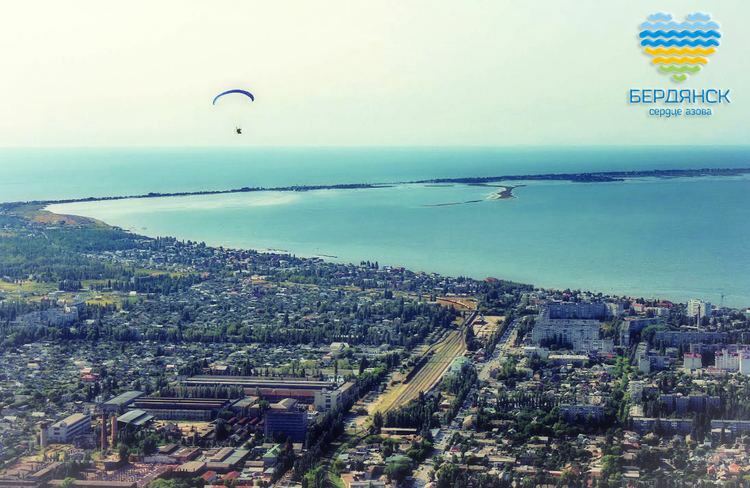 The infrastructure of rest and entertainments in Berdyansk is the most developed on the Azov seashore and successfully competes with resorts of Black Sea Coast and the Crimea. In Berdyansk and its vicinities are large numbers of sanatoriums, resorts and rest houses where it is possible to take medical and restorative courses for health improvement. On the Berdyansk spit there are located about 70 health improving establishments: 7 sanatoriums, 17 childrens and sports establishments, 45 recreation centres and boarding houses that receive up to 15 thousand persons. In Berdyansk on rather small territory guests receive a wide range of tourist services: the biggest Aquapark in Europe and the Kiev dolphinarium, the biggest in the CIS countries, a zoo and Seaside square, a lot of pleasure and cultural establishments. 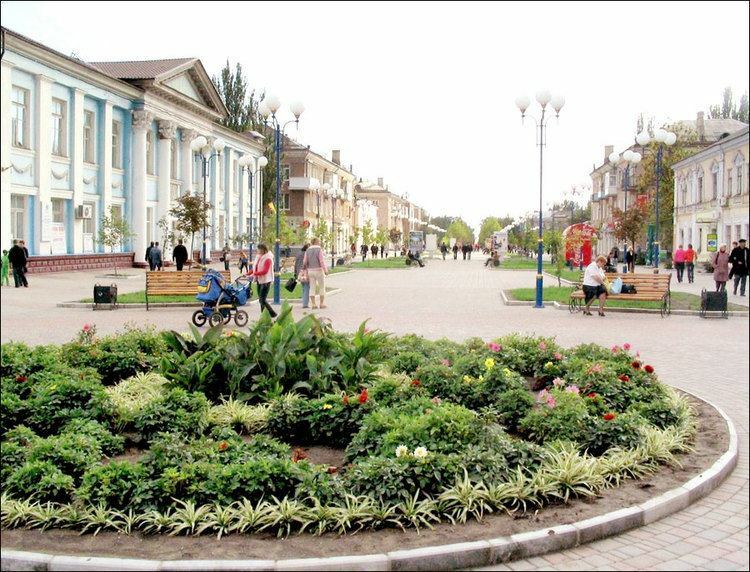 Gradually Berdyansk is evolving into a modern European city. In 2001 it received first place in an All-Ukrainian competition for best city beautification. By pedestrian area of Lenin Avenue, the Seaside square and Berdyansk quays it is possible to travel on trishaws, a small steam locomotive and on real horses. On all beaches, including the Berdyansk spit, guests can take advantage of large quantity of entertainments: driving on rubber bananas and tablets, water bicycles and motorcycles, sail on boats and yachts, play on slides and trampolines. In the evening it is possible to have a rest in bars, restaurants, many of them have summer platforms which are located directly on the sea coast. Consider that as Berdyansk develops as a city-resort, the general commodity output of the food and process industry increases. The light industry and machine-building enterprises have declined at the expense of reorientation into making consumer goods. Relative density of chemical and petroleum-refining industry has reduced, despite significant growth in their manufacturing volumes. Chemical and the petroleum-refining industry is represented by two big enterprises: Public corporation"AZMOL", the Berdyansk state fiberglass factory, and two small enterprises: Limited Liability Company "Fibreglass" and Closed Corporation "Bertie".